At Global Jet, we are committed to delivering our valued clients with the highest standard of service, quality and professionalism in air charter services. Your privacy, safety, security and comfort are our highest priority and we understand what that really means. Why? Because our clients include international business leaders and celebrities, and we take the time to truly understand your business and leisure aviation needs. You will have peace of mind knowing every detail is covered. Our 24/7 charter team handle both private and commercial needs for the most demanding of schedules, whether you are within Australia or abroad. Our 15 passenger Bombardier Global XRS provides superior cabin comfort, combining space, privacy and luxury. It was designed to fly nonstop between intercontinental cities pairs such as Melbourne and Tokyo, or Sydney and Honolulu. The aircraft has a cruise speed just below sonic level at Mach 0.88 and is capable of using first class or secondary airports and basic short airfields in remote areas. An Ultra Electronics active noise and vibration cancellation system ensures quiet conditions in flight. With unmatched range, competitive travel speed and superior comfort, the Global XRS is the ultimate performance business jet. This is a USA Visa Waiver Approved aircraft. 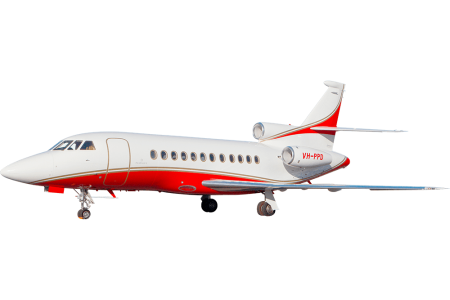 The Falcon 900C has an excellent track record for dependability, reliability and outstanding value. It provides superior cabin comfort with room for 13 passengers, and can be separated into two cabin areas. The Falcon 900C pairs an expansive carrying capacity with the impressive range needed for a cross-country jaunt or intercontinental trip. With a maximum cruise speed of 820 km/hr, and a range of 6,000 km, the Falcon 900C is well suited for any mission. 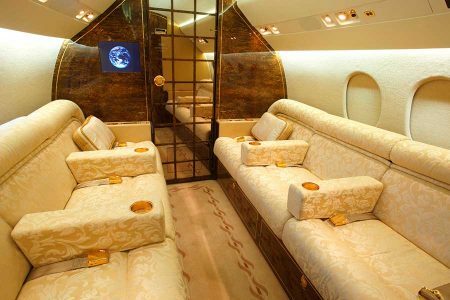 With a beautifully appointed interior, and a stand up cabin of 6.2 ft, an ultra-luxurious flight experience awaits. Our 8 passenger Citation VII combines incredible performance and efficiency with cabin comfort and luxury. 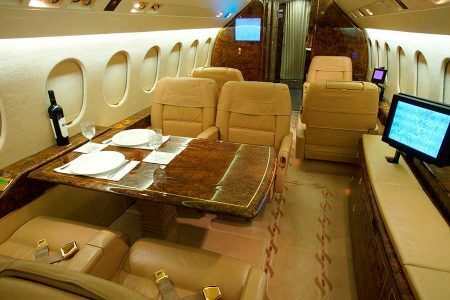 This aircraft is eminently suitable for business jet charter as it comfortably seats 8 passengers. With its 1.73m of stand-up room that goes the full length of the 5.6m cabin and its spacious baggage area, the Citation VII enables you to take more people with more baggage to more places. The Beechjet 400A is a premier light business jet. 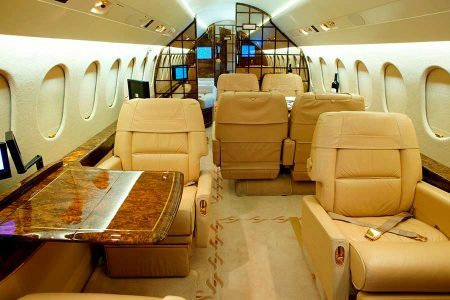 With luxury seating for up to 7 passengers, this aircraft is perfect for executive or leisure jet charter. With an impressive speed of 470 mph and a range of 1,400 miles (2,200 km), the Beechjet is a popular choice for shorter range distances. 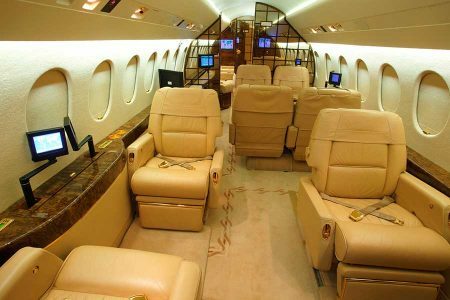 The Beechjet 400 is the epitome of quality and reliability, and with its speed, luxury cabin comfort, and fuel efficiency is the ideal aircraft for corporate or individual travel. The Falcon 50 is a super midsize long-range business jet with three jet engines. The Falcon 50 can fly nine passengers 5,778km at a cruise speed of 460 Knots (852km/h). The forward section of the cabin is a lounge area with four armchairs and tables. The rear section of the cabin is fitted with two armchairs, a table and a convertible three-seat sofa. Cabin length is 7.16m, and height is 1.80m. The Falcon 50 is part of the super-mid category of private jets, which bridges the gap between high-performance heavy jets and more economical mid-size jets. Where do we pick up from? Our aircraft range is a maximum of 300 nautical miles or approximately 550kms from pickup. Global Jet helicopters can land at any safe, suitable and approved landing area.